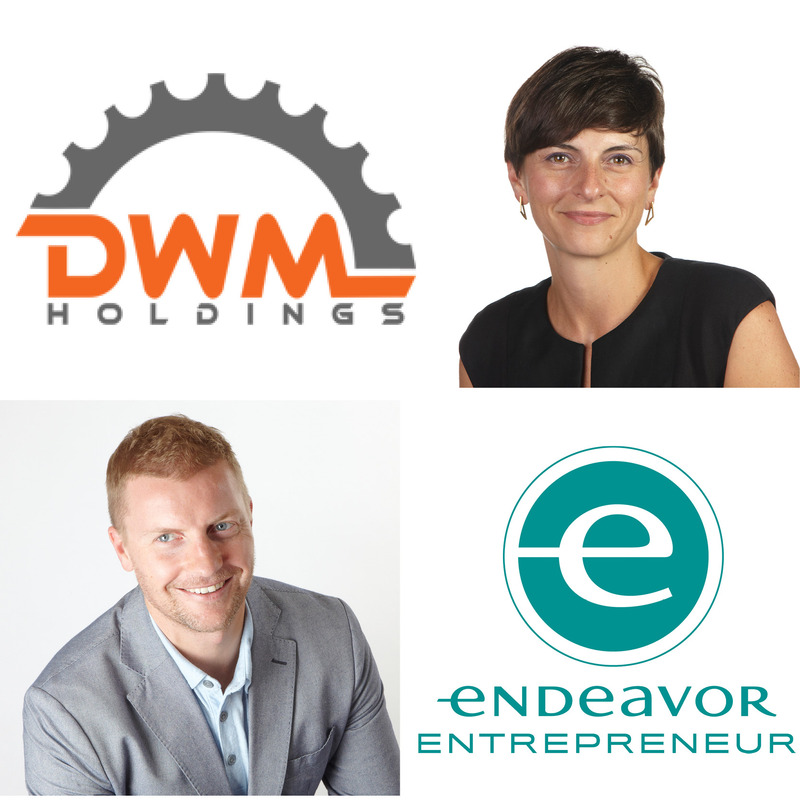 Lima, Peru – Endeavor Detroit is excited to announce the entrepreneurs behind DWM Holdings (Kelly MacVoy Guffey Ryan MacVoy) have been selected to join the Endeavor Network. The Michigan-based innovative manufacturing company was selected at the 72nd Endeavor International Selection Panel (ISP) by a series of panelists, who were drawn from Endeavor’s extensive international network of business leaders and investors. Kelly and Ryan were two of 35 high-impact entrepreneurs representing 17 companies and 10 countries who were selected at this ISP. The ISP is the culmination of a rigorous and extensive multi-step interview and selection process. At the event, top international business leaders interview candidates about their businesses and high growth potential, then vote on whether or not candidates are selected as Endeavor Entrepreneurs. Post-selection, Endeavor Detroit provides the entrepreneurs with a world-renowned suite of services and programs along with access to an exclusive mentorship network to accelerate the growth of their companies. Benefits of selection to Endeavor Detroit include introductions through a network of more than 3,000 local and international business mentors for strategic guidance in raising capital and entering new markets. In the archaic lighting industry, DWM shines brighter than the field. Lighting manufacturers across the USA, specifically for street lamps and light poles, rely on labor-intensive processes and lack any semblance of company culture. This translates to slow project completion (lead times), poor customer service, and the inability to easily share information with other stakeholders in the production chain. DWM Holdings leverages innovative technology solutions and is overhauling the standards for company culture in the manufacturing space to streamline antiquated processes and offer a seamless ordering experience. DWM Holdings’ four brands manufacture steel and aluminum light poles for the commercial and industrial market. Today the company boasts 86% on-time deliveries (versus industry average of 75% and an increase from ~65% for DWM) and its lead-time average is 3.8 weeks (versus 4-8 week industry average and historical average of ~6 weeks for DWM), producing a partner satisfaction rate of 4.6 out of 5. In Kelly and Ryan, panelists saw a complementary entrepreneurial team with a compelling story of an evolving family business committed to growing their manufacturing company in Michigan. The panelists were impressed with the company’s advanced technology along with Kelly and Ryan’s ambition to change their industry. Expand their growth strategy – As their company continues to grow, the Endeavor network can advise the entrepreneurs on their growth strategy and entering international markets. Build an advisory board – The entrepreneurs will benefit from Endeavor’s network when building an advisory board to serve as a trusted resource for the company’s growth. Established in 1997, Endeavor is leading the global high-impact entrepreneurship movement. Endeavor promotes economic growth and job creation by selecting, mentoring, and accelerating the best high-impact entrepreneurs around the world. To date, Endeavor has screened more than 47,000 entrepreneurs and selected more than a thousand individuals leading over 700 high-impact companies. Headquartered in New York City, Endeavor currently operates in 27 markets throughout Europe, Latin America, North America, Africa, Southeast Asia and the Middle East. The Endeavor Detroit affiliate was established in 2015 and works with Entrepreneurs and mentors throughout the State of Michigan. Endeavor Detroit currently works with 17 entrepreneurs leading nine companies including Algal Scientific, Banza, Benzinga, DROUGHT, DWM Holdings, Floyd, McClure’s, Varsity News Network, and Vectorform.